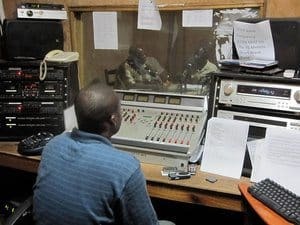 If you are a radio enthusiast, this question has definitely crossed your mind at least once - how do shortwave radios play so many radio stations across different countries and continents? To broadcast a radio station on your shortwave radio, your radio receives a designated frequency on a designated band. A range of these shortwave frequencies within a specific band enables the radio to broadcast different radio stations located on them. Shortwave radio frequencies are different range of values allocated to shortwave bands across the shortwave radio spectrum. When you tune in to them, you can enjoy broadcasts from the local as well as international radio stations. Shortwave frequencies are the mediums for shortwave communication around the globe which use the earth’s ionosphere skip propagation (reflection or refraction of radio waves back towards the Earth) ability to send data around the world. How Are Shortwave Frequencies Measured? The radio frequencies are almost always measured in kilohertz (kHz). However, you may counter instances where certain websites and even radio stations present the frequencies in megahertz (MHz). When that is the case, do not get confused. To convert a frequency given in megahertz (MHz), all you need to do is move the decimal three places to the right. As an example, 3.917 MHz = 3917 kHz and 15.5 (MHz) = 15500 kHz. The frequencies and bands used to broadcast radio signals are allocated and agreed upon under the aegis of the International Telecommunications Union (ITU). It isn’t binding upon the broadcasting agencies to stick to these bands and frequencies but most of them do. If you are new to shortwave radios and tuning stations, sticking to these official bands is your best bet. In addition to the frequencies above, there are many others used by agencies such as defense, maritime (ship to shore and vice-versa), aeronautics, and weather information and so on. For these frequencies, broadcasters generally use the AM band while others may use digital or SSB radio. It must be noted though that to receive these signals and listen to stations, the radio sets must have some kind of special equipment/receivers considering the nature of the broadcasting services they cater to. In some countries, it is illegal as well to tune in to such stations. However, it only demonstrates how much fun shortwave radios can be.